Every year, The Next Web holds hundreds of interviews with young startups in order to shortlist the cream of the crop and invite them to Boost, our early-stage growth program at TNW Conference. 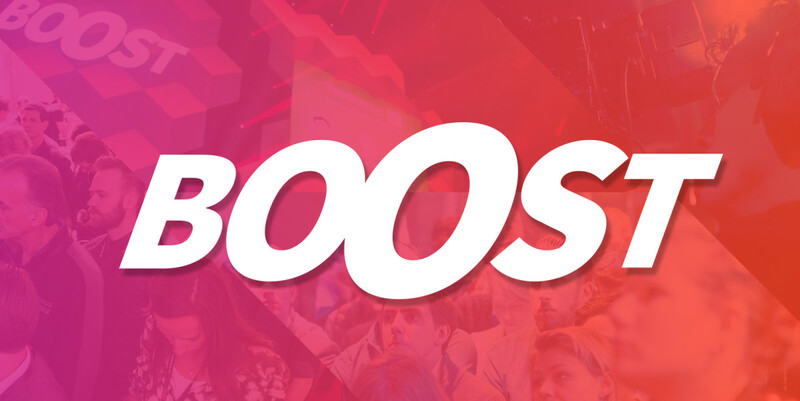 The applications for Boost are now closed, and we’re proud to have 200 of the world’s hottest starts startups ready to show 9,400 tech influencers, investors and journalists the next game-changers. Missed your chance to apply? Startups can still attend TNW Conference by buying tickets here. This week, we’ve selected 14 promising enterprise startups, keen to help you take your business to the next level. So whether you’re looking for the perfect CRM, or wish to create a link between developers and end-users using an intuitive platform, there’s bound to be a startup here that’ll help you grow your company. We’re proud to announce that this year, Samsonite Business will be the sector partner for all enterprise startups taking part in the Boost program. Check out a selection of enterprise companies that have been invited to participate below, and be sure to catch them, along with dozens of other great startups, at TNW Europe. Taglayer aims to create a unique user experience for web-users through its revolutionary personalization software. They tailor websites to each person’s individual preferences using personality scores and interests. This gives business and online websites a unique opportunity to reach their visitors more effectively. Teamily enables teams to be more effective, save time and get new results. Their software creates dynamic leadership based on personality types, data and project stage – paving the way for all organizations to thrive in a world of accelerating change and opportunity. Octopull helps companies improve the way they manage projects through the union of project and lean management concepts. Their clients are companies that need support in leading projects with high complexity and uncertainty like energy generation companies, the mining sector and software engineering. Plek is a community and messaging platform. Organisations use it to bridge silos and break external boundaries, making them more successful. Plek was founded in 2013 and has 130.000 users in 400+ organisations, including Heineken and KPMG. Iristrace is a cloud platform that replaces manual, often paper-based processes, mobilising front-line staff through their smartphone with an unprecedented ease: connecting people with locations, creating control forms and reports as well as workflows, and remediation action plans to fix issues fast. Yumiwi is a connected platform for brands and attendees at live events – generating, tracking and analysing content in real time. By using RFID technology to create a seamless integration between the data captured and the true attendee engagement, it enables brands to understand the true success of their events. Oxvy is the future of CRM: See your business grow, add leads, develop your clients, add contacts build sales, and see report … All on mobile. TradeCast enables you to start your own interactive TV channel (OTT). Fully cloud-based, worldwide delivery network and 24/7 available on any mobile device. Add interactivity, e-commerce, UGC and utilize mobile live-streaming. TradeCast offers real-time statistics, even on individual user levels. Salesbox CRM is the predictive CRM and mobile CRM for those that want to be successful in sales. It also offers accurate sales forecasts, since they build on facts, not guesswork. Salesbox have been ranked as the #1 mobile and predictive CRM globally by independent analysts. Functor offers a new combined static analysis and hybrid testing tool, along with method and a meta language modeling tools for domain engineering and DSL programming. Datapath.io has created a novel and lightning fast solution for delivering data to your users, while assisting you in managing network performance to ensure your apps run smoothly. Datapath.io provides a selection of the fattest Internet pipes to users, a flexible API, and the ability to monitor end user performance. To produce relevant software, end-user involvement is key. CloudTeams aims to create a link between developers and end-users in one intuitive platform. It offers tools to foster collaboration, get feedback and stream it into the work cycle. Users discover applications and are rewarded for giving feedback. MoBerries is a fast growing network connecting digital companies & professionals. Their mission is to revolutionize the old-fashioned recruitment processes, offering an online networking platform with a unique, real-time matching algorithm, tailored to both professionals and partners. TheMotion is a disruptive video technology able to automatically generate massive amounts of high-quality videos in minutes. It takes data or websites’ URLs and converts them into dynamic videos that can be used in product pages, or shared via social networks to generate an immediate increase of visibility and engagement.